Jewelry is the perfect wearable art to express your style. Vita Perfetta Wire Wrapping Jewelry is the essence of individual panache! Our artists create unique jewelry to enhance the personal style of each of your guests, on site. 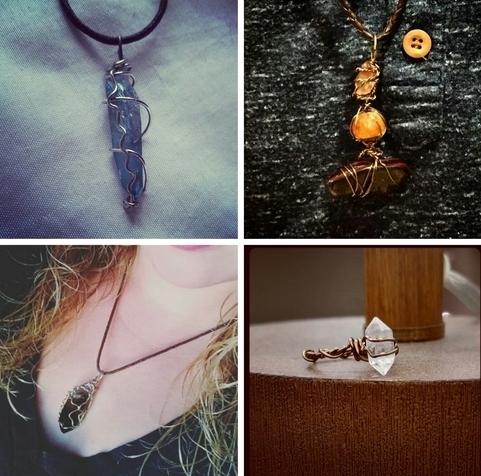 Our wire wrapping can include either beautiful crystals in a variety of shapes and colors or shells and our artists wrap them to create necklaces. They also wrap wire to create name necklaces your guests will love. Watch everyone’s imaginations go wild when they choose their own custom Vita Perfetta Wire Wrapping jewelry!